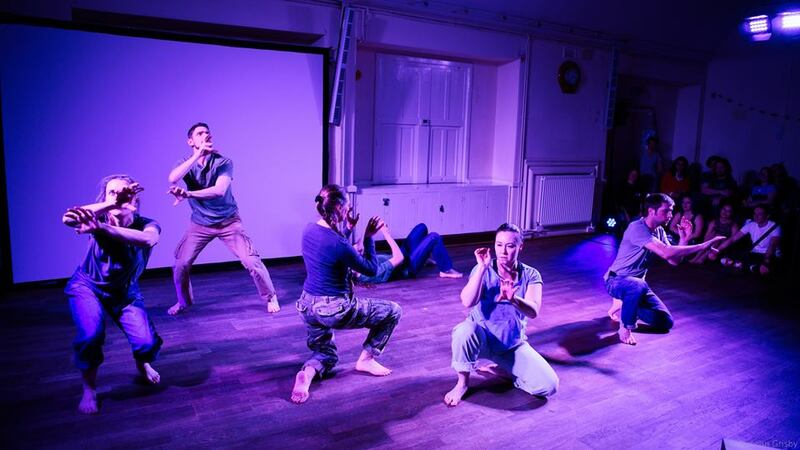 Infusion is pleased to have Dan’s Cossette’s new work-in-progress Brickies being presented as part of the Queen’s College Contemporary Dance Society’s annual showcase, Sprung! Look for two excerpts from this new work about brick layers and skilled laborers. Enjoy an eclectic collaboration of artists as they come together for an evening of dance films, class demos, street dance, spoken word, and especially… contemporary dance performances! In its 20th year, Sprung promises to be a celebration of the many wonderful and diverse years of artistic richness presented through the platform. Come join the celebration and be inspired, including works by Queen’s College dancer-in-Residence Adéle Thompson the Shipping Forecast, and the Art of the Short Story. We’re delighted to announce that Dan Cossette will be leading next Friday’s class, yes singular! Please note that there will be ONLY ONE class combining both levels next Friday 16 November, just for that one week, 16.30 – 18.00 in Bowett Room. Live accompaniment by Terry Mann. Dan Cossette is a graduate of Mimeistry International School of Arts, Pasadena, CA, specializing in French Mime. He trained in modern dance and contemporary ballet with Ad Deum Dance Company, Houston, TX, and danced as a company member from 2009-2013. 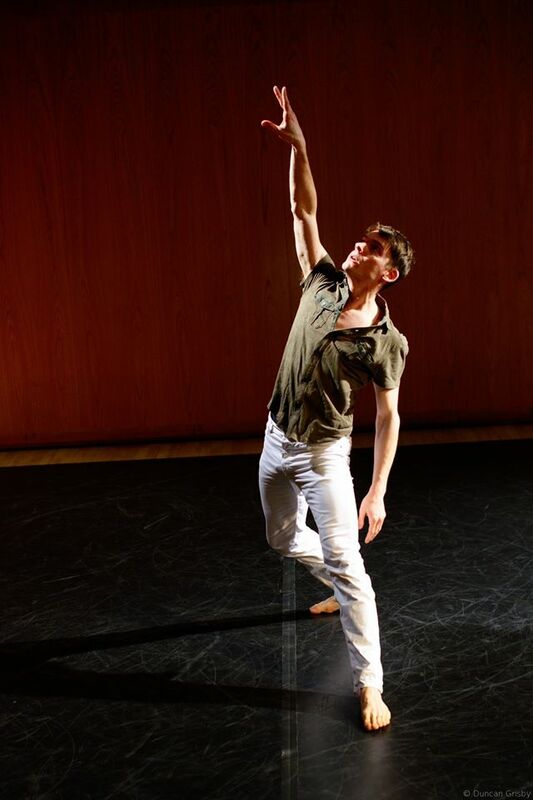 Currently he dances part time with Springs Dance Company, London, and co-directs Infusion Physical Theatre, Cambridge. 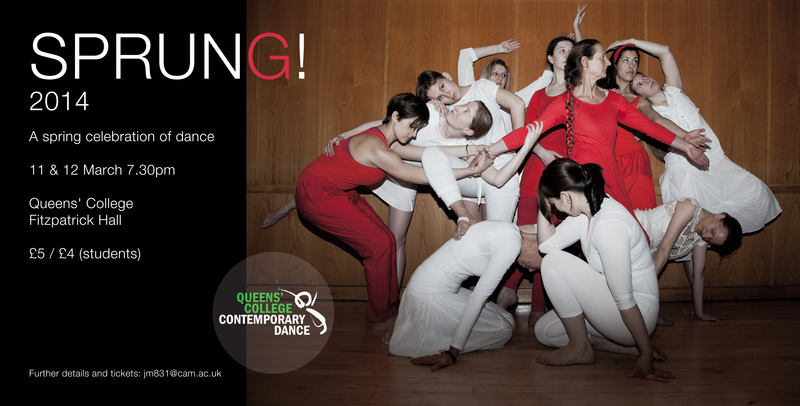 Queens’ is very proud to offer contemporary dance technique classes taught by the college Dance Artist in Residence, Adèle Thompson. Queens’ has the only Dance Artist in Residence in any Oxbridge college. All classes operate on a drop-in basis, so you can join in whenever you want, there is no subscription charge and the cost of each class is £6 employed / £4 students / £2 students at Queens’. All classes are open to anyone whether associated with Queens’, the University in general or not connected to the University at all. All classes have live musical accompaniment. Dan Cossette will be offering a special 1.5 hour workshop at Queen’s College. Infusion’s Daniel and Melanie Cossette joined a class hosted by Queen’s College, Cambridge–open not only to university students, but also the community at large–for the chance to STOMP, and do share some “architectural and spatial choreography” in contemporary style dance under the direction of Adèle Thompson (a founding member of European touring STOMP show). “I wasn’t going to miss the chance!” said Daniel, who owns the STOMP Out Loud 1997 DVD and confesses to watching it at least once a year since purchasing it. Adèle Thompson, the Dance-Artist-in-Residence at Queen’s College, teaches weekly contemporary classes during term on Fridays and Saturdays. Every spring the open-to-the-community classes produce a show called Sprung! This is their 15th anniversary, which Thompson says, “It’s in this very awkward, adolescent year, and we need to give it a little something special!” So she decided not only to choreograph a contemporary dance for her students, but also to give them a chance to STOMP themselves, teaching them STOMP style Brooms and Pipes routines. The contemporary work will be an abstract piece inspired by buildings and architecture. “In the past we’ve done some really deep and somewhat heavy things,” said Thompson, “but this year it’s just going to be about shapes in space.” She and her students brought in photographs of buildings that inspired them, and used those as a jumping point to developing movement phrases which became the elements of the dance. Also, Thompson wanted to give audience members a glance at the building blocks of contemporary dance by choreographing a fourth piece, which is a series of exercises taken the class’ warm up and conditioning. Calling it “First Positions,” Thompson calls it a “peek behind the scenes of what goes on in a contemporary dance technique class.” Try and keep up! Though the demographics of the class are quite diverse, the deceptively simple start devolves quickly into rapid drops to the floor, back rolls and spins before each member rises quickly to their feet to repeat the sequence. Queen’s dance class participants can also present their own choreography and dance contributions. 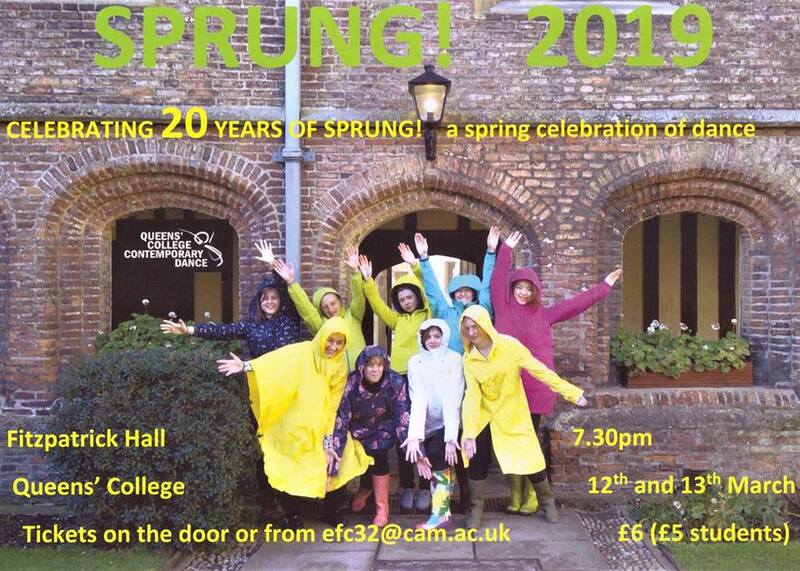 The show will feature some original material from the community students, as well as a look at some short films from past Sprung! shows, and Daniel Cossette will present Mighty Spirit by Randall Flinn (an American choreographer, who set the work on Cossette in 2008). The show is the 11th & 12th of March at 7:30pm, Queen’s College, Fitzpatrick Hall. Tickets are available from the door for £5/£4 students.